DriverMax is the one of the best and free driver updater tool. It supports automated installs, scheduled scans, and full device driver backups, among other things. 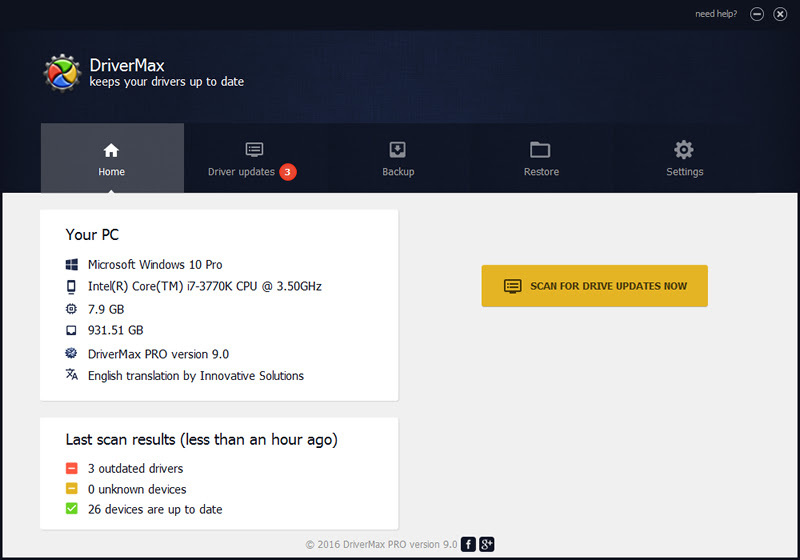 DriverMax helps you can find driver updates for 32-bit and 64-bit versions of Windows 10, Windows 8.1, Windows 8, Windows 7, Windows Vista, and Windows XP. It reduces system freezes and malfunctions, making for a better performance of your PC by serving you only with the best latest updates. DriverMax free version allows you to download a certain number of drivers per day and per month. However, DriverMax pro comes with more advanced features without limitation. DriverMax 9 got even better! With DriverMax, you can easily update, backup and restore outdated, missing or faulty drivers for more than 2,300,000 devices.